Lymphomas, such as NHL and Hodgkin lymphoma, represent tumors of the lymphatic system. This system is a network of organs, lymphatic vessels, and nodes. 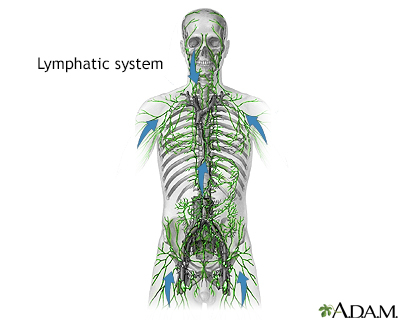 The lymphatic system interacts with the circulatory system to transport a watery clear fluid called lymph that is similar to the blood plasma throughout the body. Lymph is mainly composed of interstitial fluid but also contains waste products, cellular debris, as well as lymphocytes, important white blood cells involved in defending the body against infectious organisms. Lymphocytes develop in the bone marrow or thymus gland and are therefore categorized as either B cells (bone marrow-derived cells) or T cells (thymus gland-derived cells). 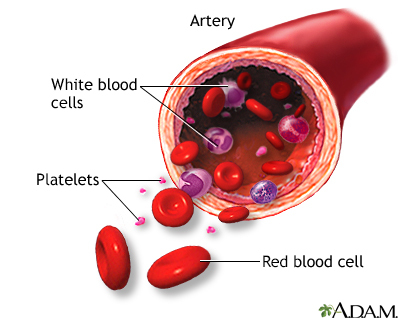 They are transported throughout the body via blood. Along the way, the lymph passes through lymph nodes, oval structures composed of lymph vessels, connective tissue, and white blood cells. Here, lymphocytes are either filtered out or added to the contents of the node. Click the icon to see an image of the immune system structures. Click the icon to see an image of Lymph tissue in the head and neck. Indolent (slow-growing) or aggressive (fast-growing). Indolent and aggressive lymphomas are equally common in adults. Aggressive lymphomas are more common in children. Aggressive lymphomas tend to be more curable than indolent lymphomas. B cell or T cell. About 85% to 90% of NHL are B-cell subtypes, 10% to 15% are T-cell subtypes, and less than 1% are NK-cell lymphomas. This report focuses on B-cell lymphomas. Click the icon to see an image of bone marrow aspiration. Click the icon to see an image of a CT machine. Click the icon to see an image of an MRI machine. Stage I. In Stage I (early disease), lymphoma is found in only one lymph node area or in only one area or organ outside the lymph nodes. Stage II. In Stage II (locally advanced disease), lymphoma is found in two or more lymph nodes on the same side of the diaphragm or the lymphoma extends from a single lymph node or single group of lymph nodes into a nearby organ. Stage III. 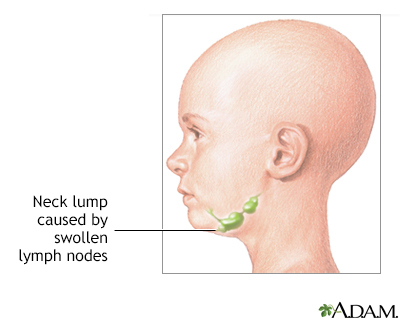 In Stage III (advanced disease), lymphoma is found in lymph node areas on above and below the diaphragm. Lymphoma may have also spread into areas or organs adjacent to lymph nodes, such as the spleen. Stage IV. In Stage IV (widespread disease), the lymphoma has spread (metastasized) via the bloodstream to organs outside the lymph system, such as the bone marrow, brain, skin, or liver. In assessing the success of a clinical trial, doctors often refer to the tumor response. A complete response, for example, means that there is no longer any evidence of the disease by examination, blood tests, or x-ray studies. It does not necessarily mean that the disease is cured. It may still recur later on. Chemotherapy plays a role in the treatment of nearly all people with lymphoma and has achieved remarkable results, even in late stages. It uses drugs to kill cancer cells. Such drugs are called cytotoxic drugs. Chemotherapy is referred to as systemic therapy because the drugs travel throughout the bloodstream to the entire body. If the lymphoma is confined to tissues above the diaphragm, radiation may be delivered to the neck, chest, and under arms (called the mantle field) and sometimes to lymph nodes in the upper abdomen or spleen or both. If the lymphoma is below the diaphragm, subtotal nodal radiation may be used, which is directed to other regions, including lymph nodes in the upper abdomen, spleen, and pelvis, in addition to the mantle-field. Radiation to the brain is called cranial radiation. Radiation to all the lymph nodes in the body is called total nodal radiation. Involved site radiation is given just to the lymph nodes involved with lymphoma. Total body irradiation may sometimes be performed before stem cell transplant to eliminate any remaining cancer cells that were not destroyed by chemotherapy. Click the icon to see an image of the lungs. Click the icon to see an image of the uterus and ovaries. Stem cell transplantation involves removing and replacing stem cells, which are produced in the bone marrow. Stem cells are the early forms for all blood cells in the body. Transplantation is usually reserved for people with relapsed aggressive NHL or people whose lymphoma is in remission but is likely to return. Infection resulting from a weakened immune system is the most common danger. The risk for infection is most critical during the first 6 weeks following the transplant, but it takes 6 to 12 months post-transplant for a person's immune system to recover. GVHD is a serious attack by the person's immune system triggered by the donated new marrow in allogeneic transplants. Mild cases of GVHD can actually be helpful as they can cause graft-versus-lymphoma where the immune system kills remaining lymphoma cells. Still, severe GVHD can pose serious complications. Acute GVHD occurs in 30% to 50% of allogeneic transplants, usually within 25 days. Its severity ranges from very mild symptoms to a life-threatening condition (more often in older people). The first sign of acute GVHD is a rash, which typically develops on the palms of hands and soles of feet and can then spread to the rest of the body. Other symptoms may include nausea, vomiting, stomach cramps, diarrhea, loss of appetite and jaundice (yellowing of skin and eyes). To prevent acute GVHD, doctors give people immune-suppressing drugs such as steroids, methotrexate, cyclosporine, tacrolimus, and MAbs. Chronic GVHD can develop 70 to 400 days after the allogeneic transplant. Initial symptoms include those of acute GVHD. Skin, eyes, and mouth can become dry and irritated, and mouth sores may develop. Chronic GVHD can also sometimes affect the esophagus, gastrointestinal tract, and liver. Bacterial infections and chronic low-grade fever are common. Chronic GVHD is treated with similar medicines as acute GVHD.